For many people, a trip to Thailand means exploring world-famous Thai cuisine. The use of fresh herbs, the flaming hot stir-fries, the tasty curries…we can all picture it. However, once they’ve arrived in the Land of Smiles, most tourists stick to what’s familiar and end up eating Pad Thai and fried rice for weeks. 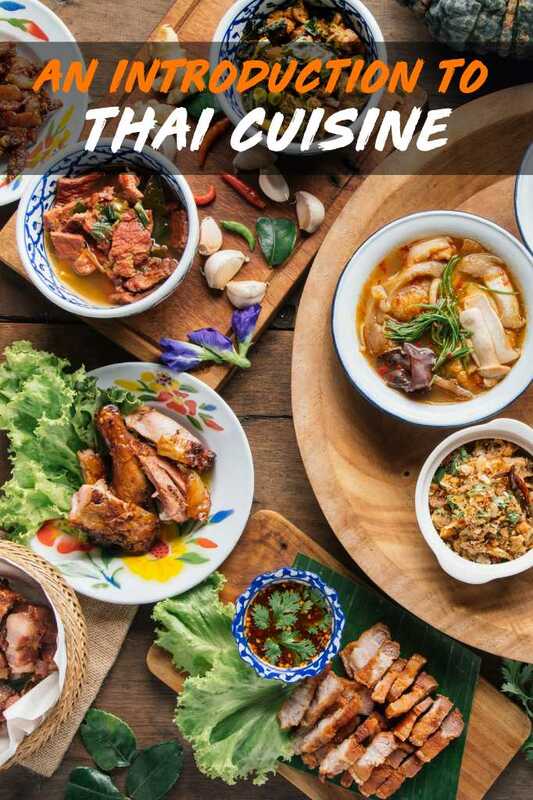 This guide will provide some insight into what Thai cuisine really has to offer and give you the confidence to order one of the many other delicious local dishes. Each region borders one of the neighbouring countries (except for Central Thai Cuisine) and has adopted some of their neighbour’s food habits . 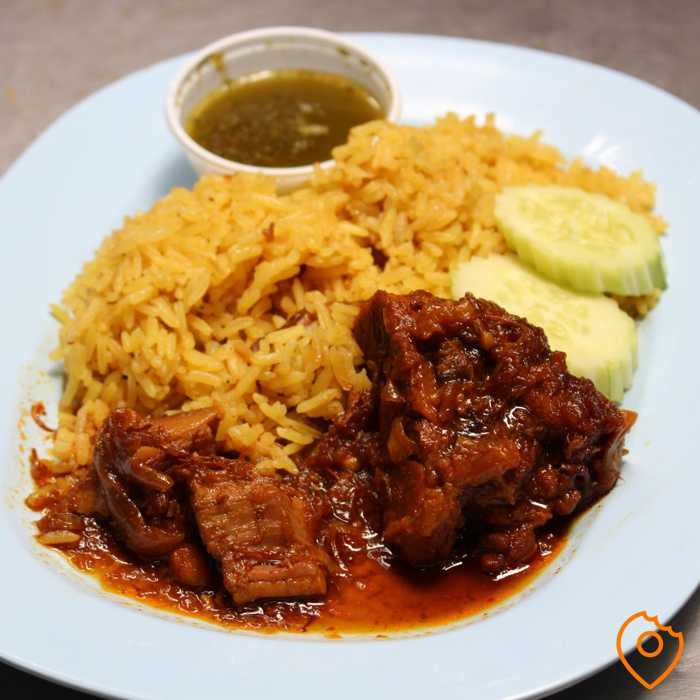 Northern Thai Cuisine has similarities with Burmese food, Northeastern Thai Cuisine incorporates aspects of Laotian food and Southern Thai cuisine has Malaysian influences. The result: a huge variety of delicious food with specialties in every region. Khao Soi is a creamy noodle soup and perhaps the most famous Northern Thai dish. 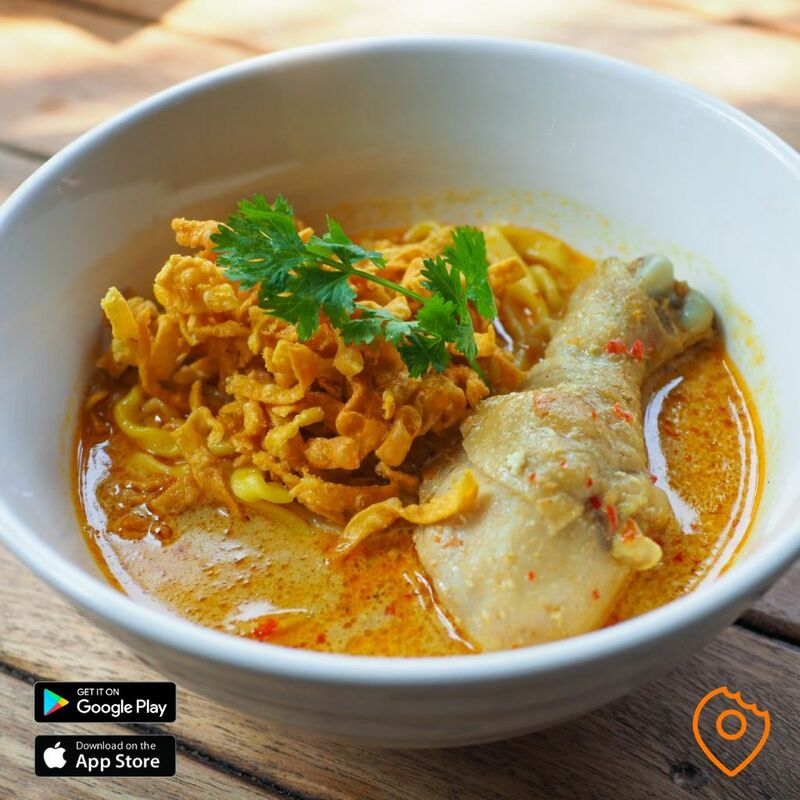 The soup is topped with crispy fried noodles and usually served with a chicken drumstick. The soup is not too spicy and has subtle flavours of garlic, turmeric and ginger. Hang Lae is a famous Chiang Mai stew with pork belly. The use of tamarind and star anise makes this stew extremely flavourful. Usually, the dish is topped with roasted nuts and freshly chopped cilantro. This Northern Thai specialty is a version of the common Nam Prik, a dish that can be found anywhere in Thailand. 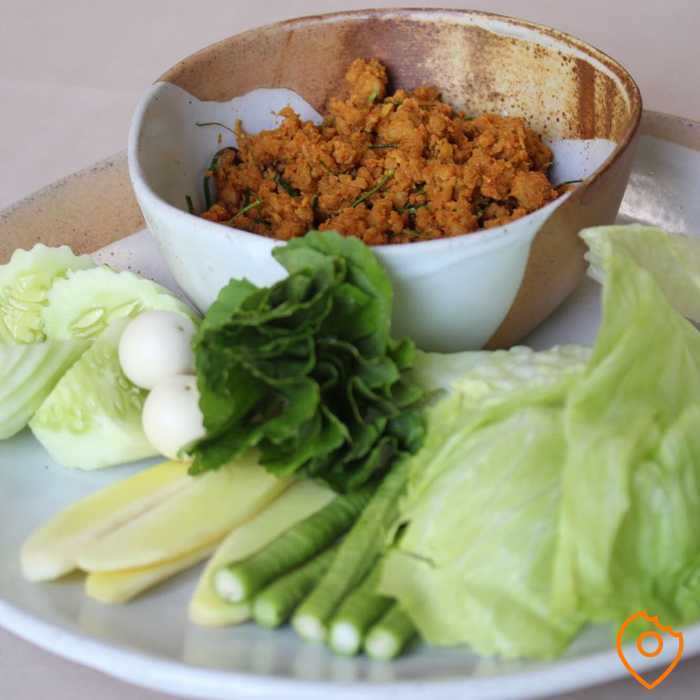 The Nam Prik Ong is a dip made of ground pork, chillies and tomatoes and is served with cabbage leaves. It’s herby, mild and reminds you of Italian pasta due to the garlic and tomatoes. 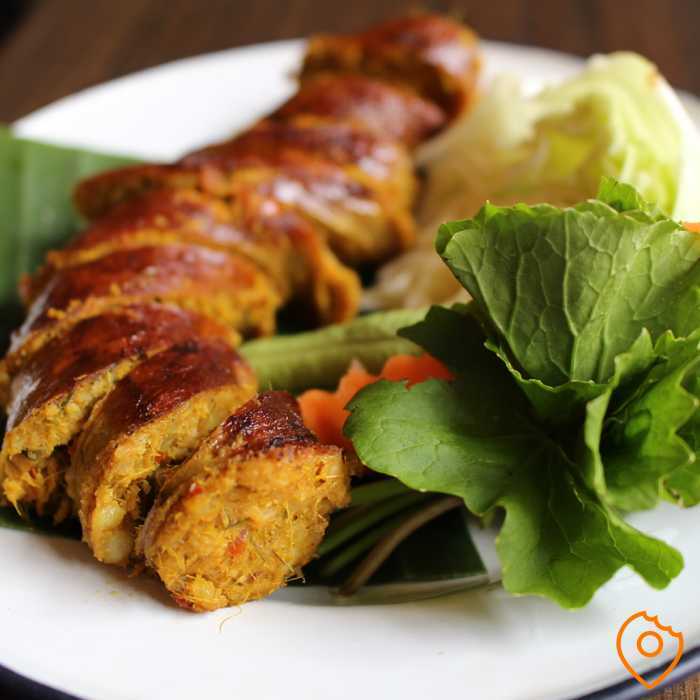 Sai Oua, also known as Northern Thai Sausage, is a delicious seasoned sausage made of pork. The use of aromatic curry paste in combination with the lemongrass makes it a must-try dish when visiting Northern Thailand. As mentioned, Northern Thai Cuisine is not necessarily known for its spiciness but that doesn’t mean there aren’t any famous spicy dishes available. Nam Ngiao, a noodle soup mostly served with fermented rice vermicelli, boasts plenty of chillies. The main ingredients are either beef or chicken, as well as the more adventurous curdled blood. Due to that last ingredient, Nam Ngiao isn’t that popular amongst tourists, but it sure as hell is for the locals. This unusual yet delicious Thai snack is a combination of chopped ingredients such as shallots, ginger, garlic, peanuts, chilli and dried shrimps. 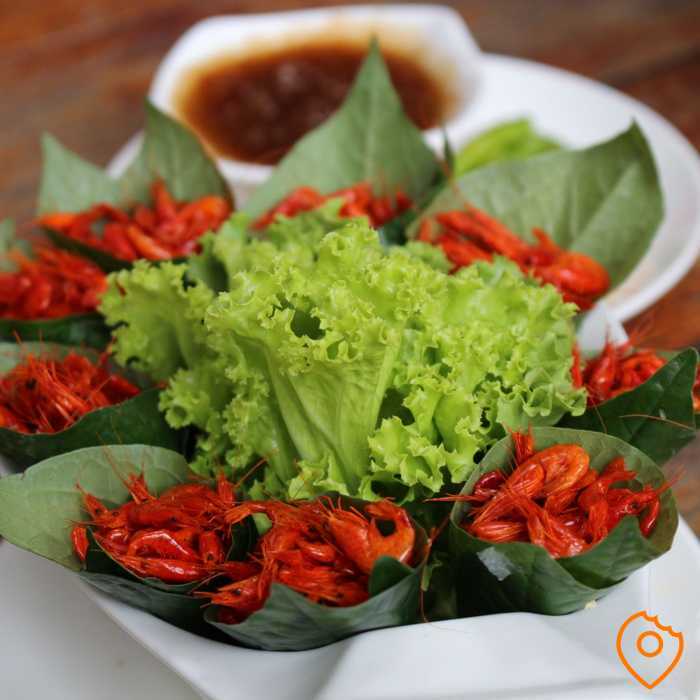 You wrap all these ingredients in edible tea leaves with a sweet sauce and eat it in one bite, hence the name: Miang Kham, which translates as: “one bite wrap”. The result is one big taste explosion that you just must try! 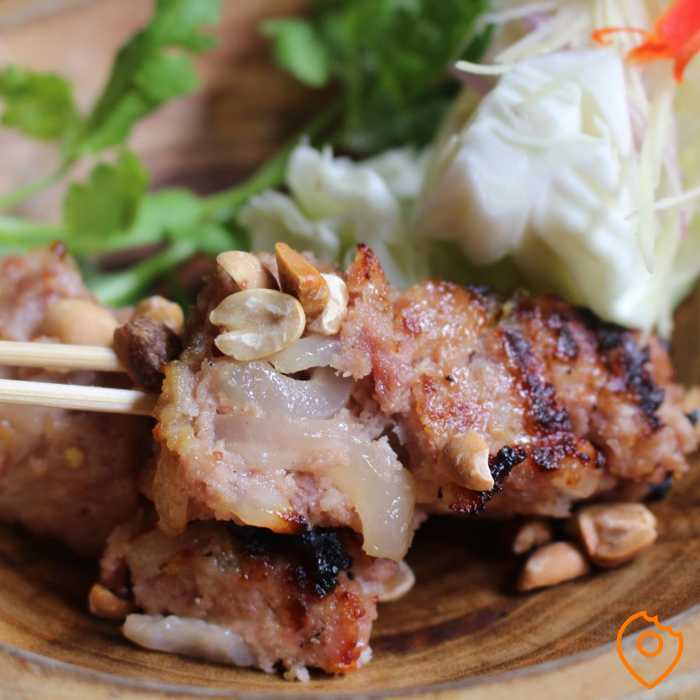 This grilled pork sausage is actually fermented which gives it a sour flavour. The fact that it’s fermented means you can also eat it raw but it’s best to stick with the cooked versions to avoid Asian stomach aches. Besides, once it’s grilled, the sausage has even more flavour!! The Northeast offers perhaps the most interesting Thai food. This region, also known as Isaan, serves incredibly seasoned dishes with loads of herbs, chillies, garlic and raw veggies. You might find the flavours overwhelming to start with, but once you get used to the amount of sour and spice, you can’t live without it. 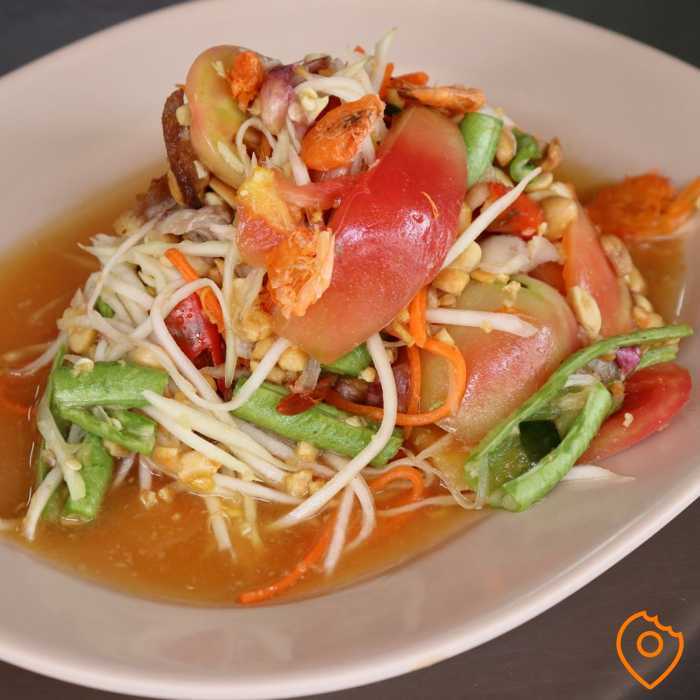 Thailand’s most famous salad Som Tum, also known as Papaya Salad, is made of unripe green papaya, fresh carrots, tomato and plenty of chillies drenched in a sweet and mostly sour dressing. There are many versions of the som tum featuring extra ingredients such as dried prawns, crab, deep-fried catfish and pickled mussels. In Northeasern Thailand, it’s common to use Pla Rah: fermented fish sauce. For most foreigners the flavour and smell is too extreme, so it’s best to order without it. 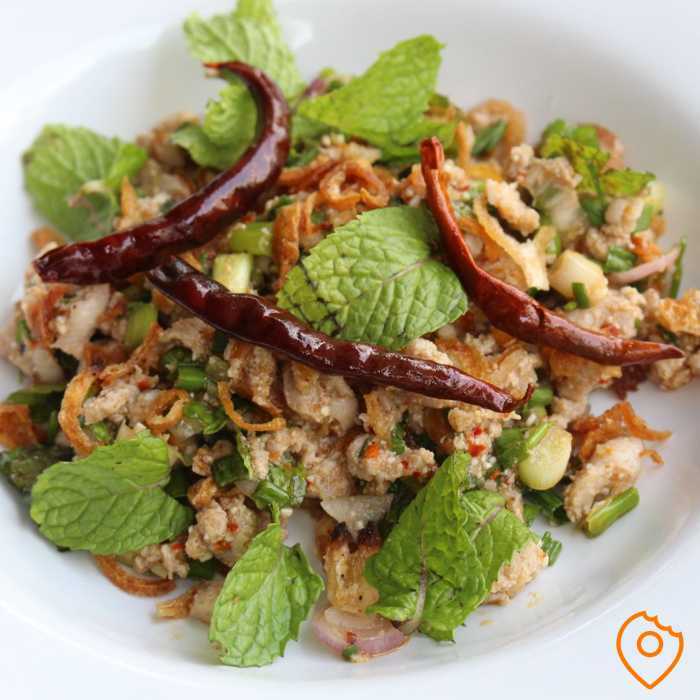 This minced meat salad has its origins from Laos but is incredibly popular throughout Thailand. Like many other Isaan specialties, the level of spice and sourness can be a little bit too much so it’s common to order rice with Laab to dilute all these extreme flavours. The laab is topped with lemongrass and mint leaves for a fresh and cooling kick. 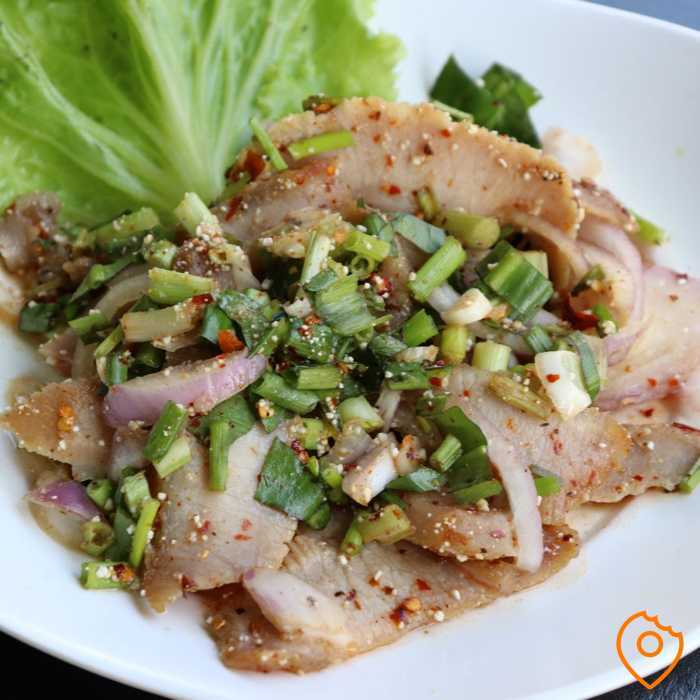 Nam Tok Moo is a pork neck salad that has, flavour-wise, many similarities with Laab. The big difference is that it uses sliced pork neck rather than minced meat. 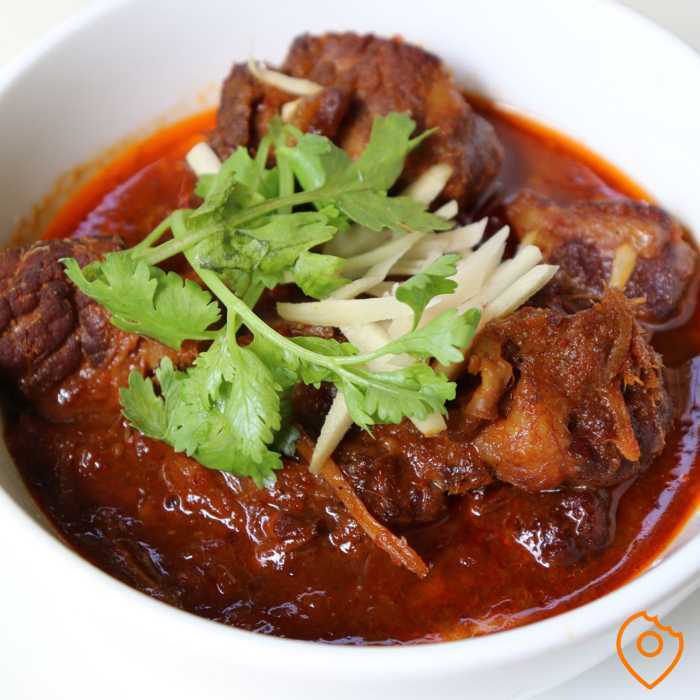 The pork neck gives it a heartier tone with tasty pork flavours compared to the Laab. Also, the Nam Tok Moo is topped with chopped spring onion instead of mint leaves. This hot pot is a delicious, fun meal perfect for sharing with friends. 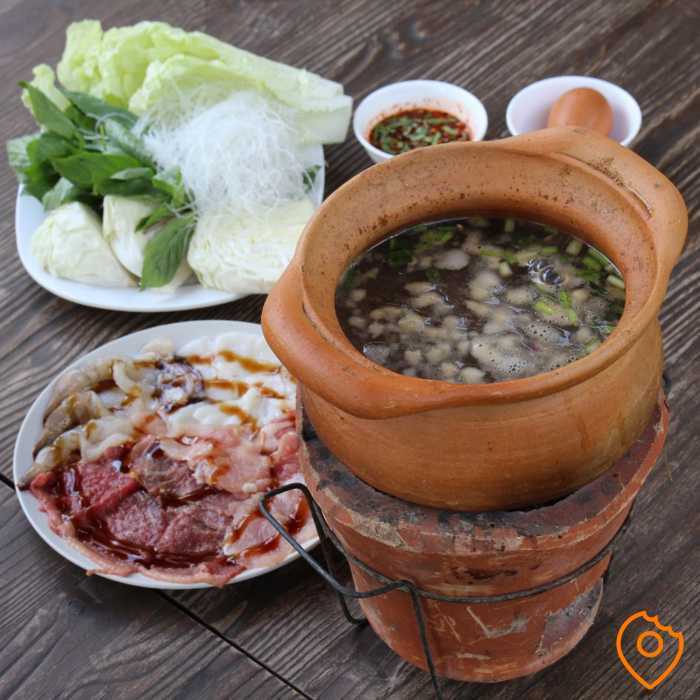 Chim Chum is a clay pot with soup full of herbs, which is set above a charcoal stove to boil. You can add ingredients such as cabbage and a variety of meats and seafood and the broth gets stronger and stronger while your ingredients boil. 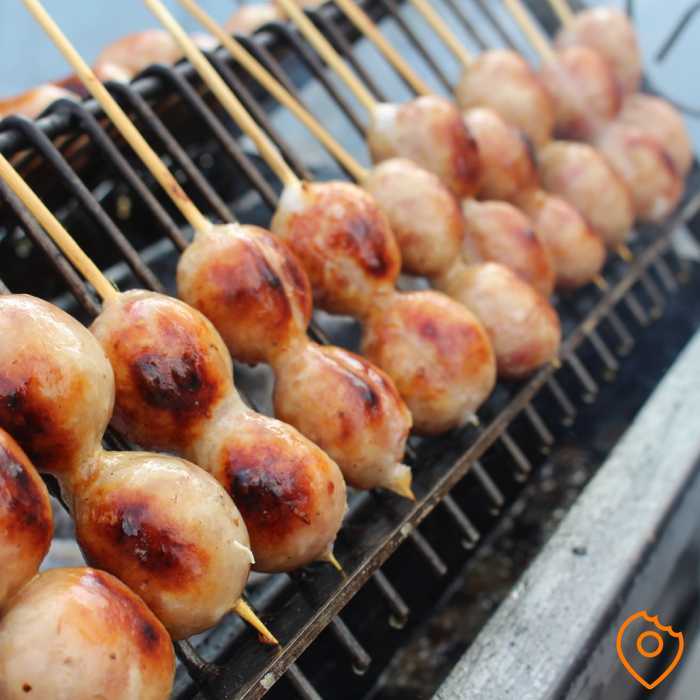 These popular grilled fermented sausages can be found all over Thailand at local street food vendors but they’re an authentic Isaan specialty. Like the Naem, the Northern Thai Sausage, this Isaan variety has a strong sour flavour and it’s usually served with bird’s eye chillis, raw cabbage and sliced ginger. As you probably already noticed, in the Northeastern region of Thailand the people love spicy sour salads. Yam is yet another delicious lukewarm salad that’s unique because it incorporates Chinese celery. One of the best Yam combinations is the Yam Talay served with seafood, usually sliced squid and river prawns. The chewy squid is only boiled briefly, so all the ingredients have a perfect bite. Hot and sour are the foundations of Isaan cuisine and this flavourful soup demonstrates that yet again. 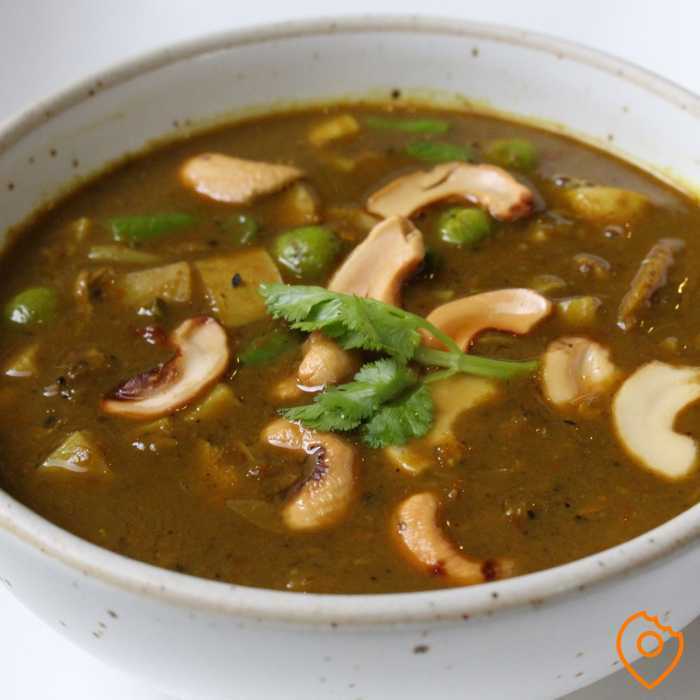 Tom Saep is a herby soup with great balance of spices and sour flavours, usually served with pork ribs and sliced mushrooms. When walking through the streets of Thailand, you can see vendors smoking and grilling their meat from a mile away. 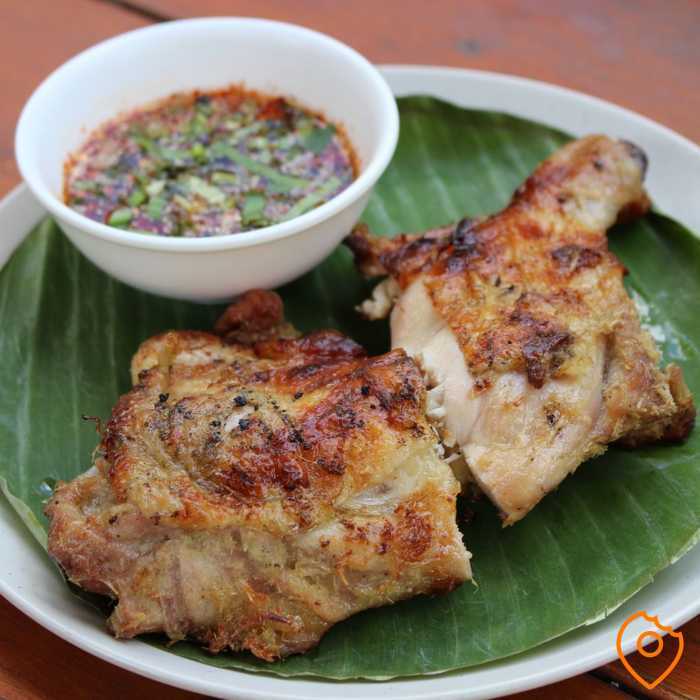 Perhaps the most famous version is the grilled chicken, known as Gai Yang, which as a smoky flavour and originates in Isaan. Gai Yang can be found in every Isaan restaurant throughout the country. 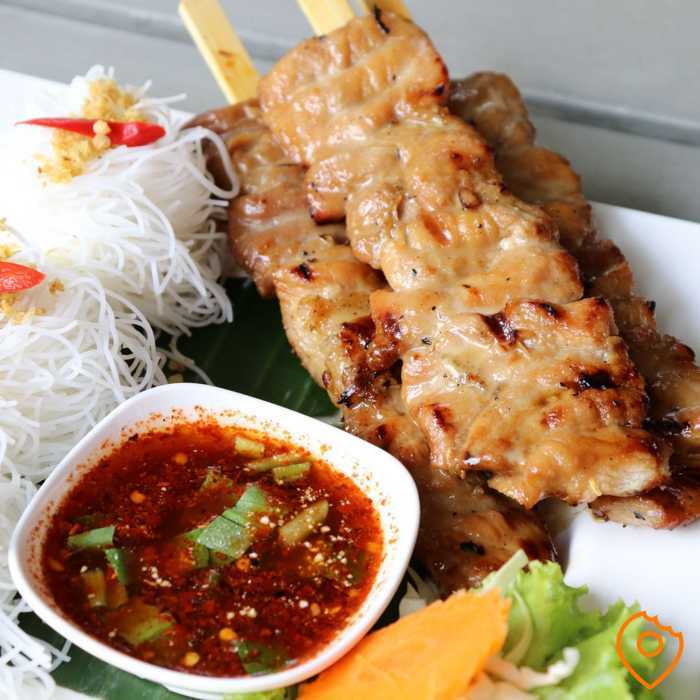 Grilled Pork Skewers, also known as Moo Ping, are a popular Northeastern snack that should not be confused with Satay. Moo Ping has a completely different marinade and is often served with a chilli sauce named JAEW. Kor Moo Yang is grilled marinated pork neck served with spicy JAEW sauce. Depending on the quality of the meat, the pork neck can be incredibly lean and tender. Kor Moo Yang is yet another popular grilled dish with a smoky, spicy flavour. Central Thai Cuisine is the most common of the whole country and includes many of the Thai classics that most people have probably heard of before they visit Thailand. The Chinese have had a big influence on this food region, stemming from the Chinese merchants who settled in Bangkok in the 18th century. This influence is significant and can be found throughout central Thailand. Thailand’s most famous dish is the Pad Thai. But there’s a story behind this dish that most people don’t know. First of all, it’s not as popular amongst Thai people as it is with tourists. That doesn’t mean that Thais don’t like it, it’s just that there are so many other good dishes to rival it. Secondly, the introduction of the Pad Thai in the late 1930’s was part of a political campaign to increase nationalism, but the dish actually has actually Chinese roots. Nevertheless, this tasty noodle dish can be found everywhere in Thailand, on every street corner. 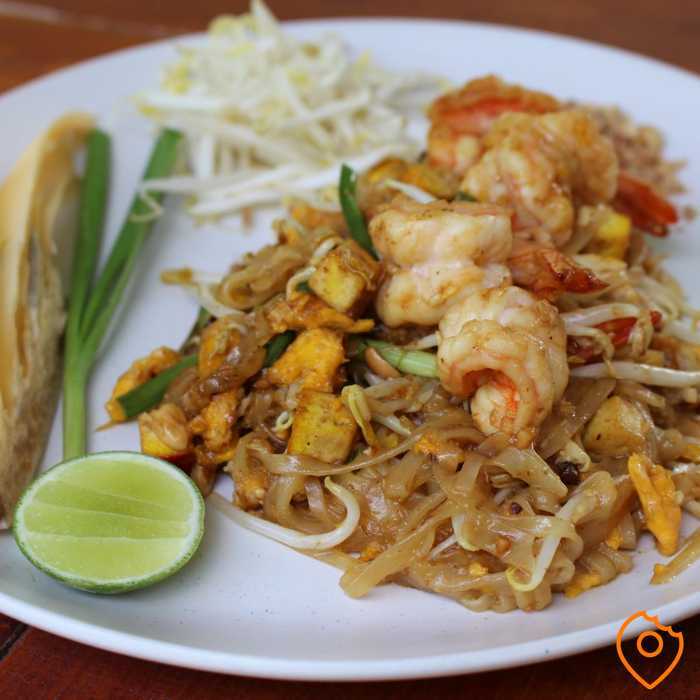 In case you will be travelling to Bangkok, we've recently published an article about where to find the Best Pad Thai in Bangkok. This spicy, sour soup is one of the most popular Thai cuisine has to offer. 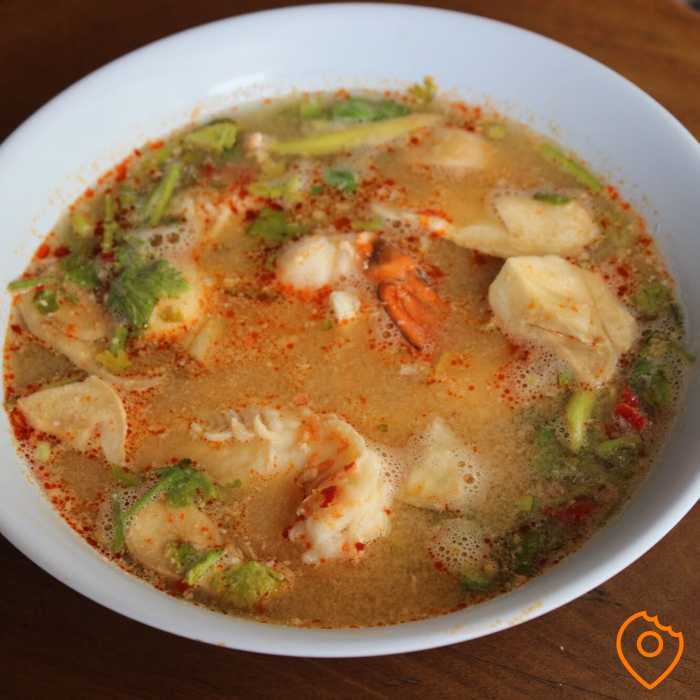 Tom Yum Goong is served with chopped mushrooms and large prawns (Goong means prawns in Thai). 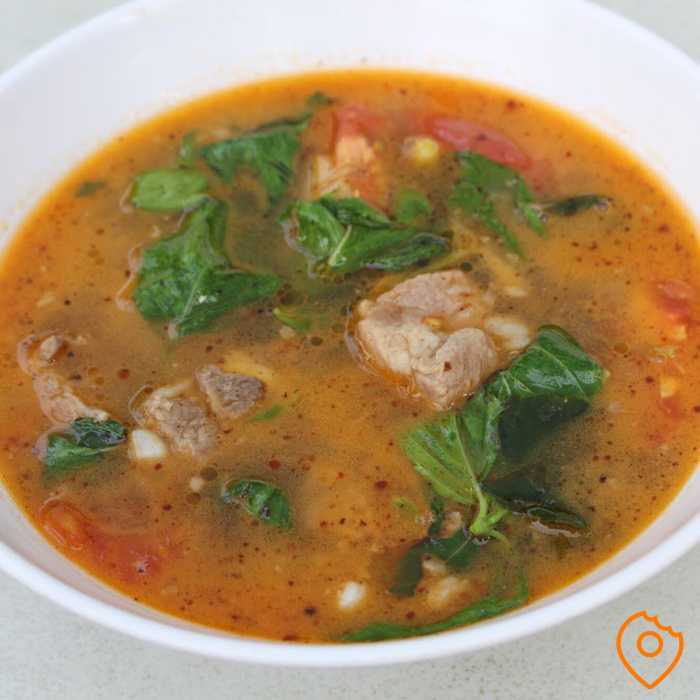 The soup itself is usually pretty spicy compared to the other famous Thai soup, Tom Ka Kai. One of the best Tom Yum Goong in Bangkok can be found at Pe Aor. This coconut-based chicken soup is as herby as the Tom Yum soup but is less spicy and has a fresher feel thanks to the use of lemongrass. It’s packed with large chopped mushrooms and sliced chicken chunks and topped with some cilantro. If you’re new to all the exotic flavours, this soup is a great, safe introduction to Thai Cuisine. When it comes to curries, the Green variety is the most well-known in Thailand. Often served with either chicken or beef, the curry is spicier than the yellow and red versions. The main ingredients are green curry paste, coconut milk and Thai eggplant, garnished with some Thai basil. 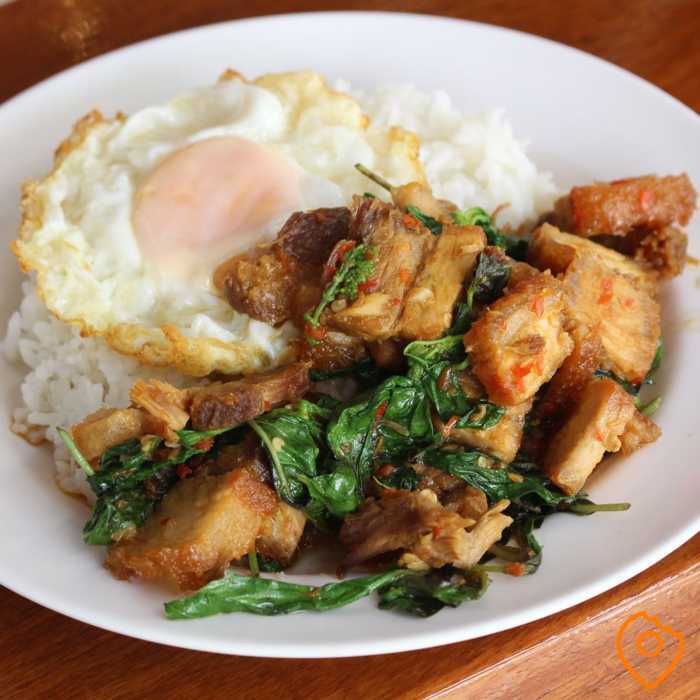 Ask a Thai person what their favourite dish is and they’d most likely answer with Pad Kra Pao, a simple stir-fry with minced meat, chunks of meat or crispy fried pork belly. While it’s frying, you add soy and oyster sauce along with chilies, garlic, sugar and Thai holy basil. The dish is served with steamed rice and topped with a fried egg. 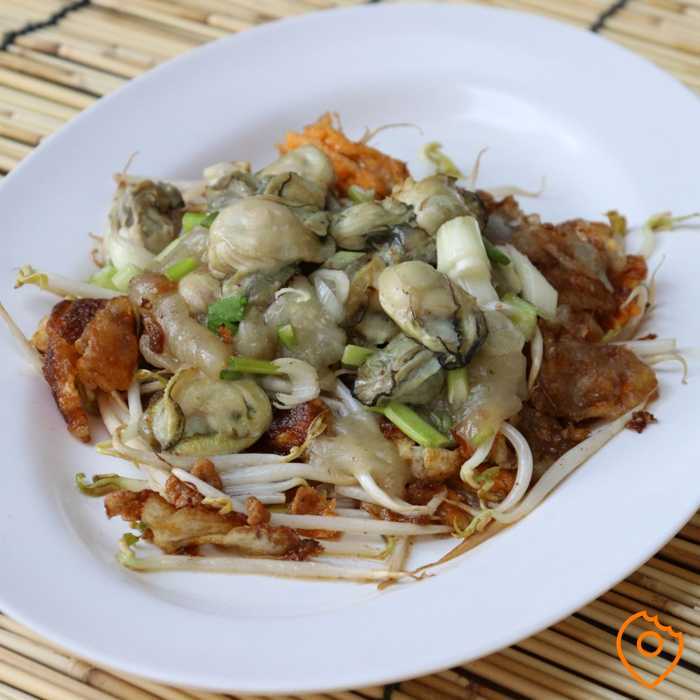 Often served on a sizzling hot plate, Hoi Tod is a crispy fried omelette with either mussels or oysters and beansprouts. Another version of the Hoi Tod is the Or Suan. The difference between these two is the batter, while Hoi Tod is crispy, Or Suan is spongier. 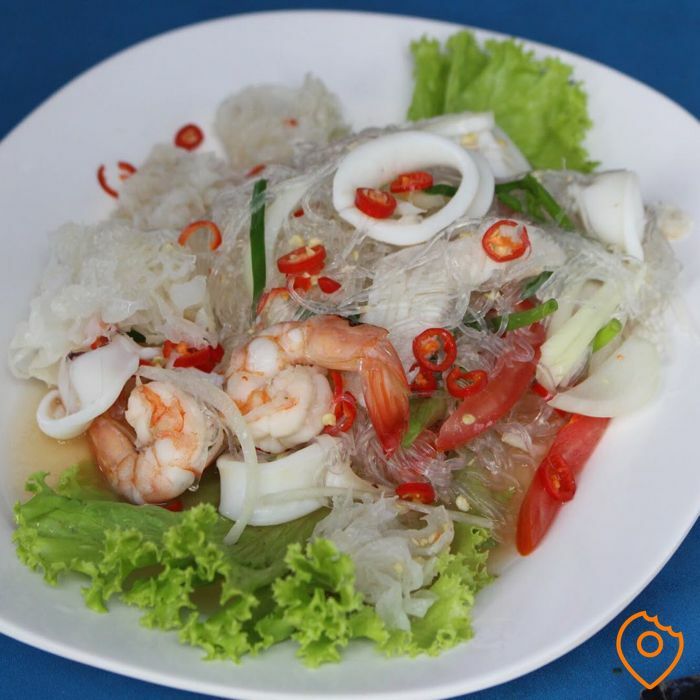 For many seafood lovers, Pla Nuang Manao is one of their favourite Thai dishes. 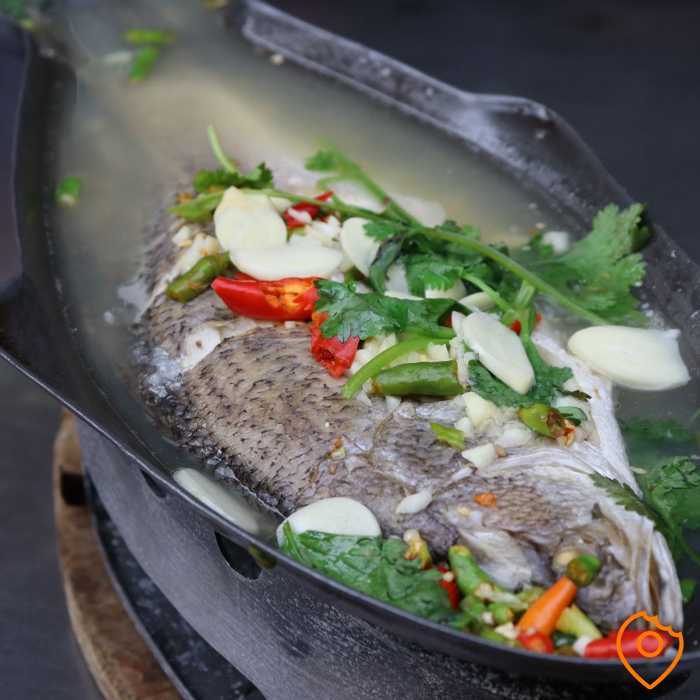 A complete barramundi, also known as an Asian Snapper, gets steamed in a fragrant broth seasoned with lime, garlic and chilli. While the fish gets perfectly steamed, the broth develops more flavour by the minute and can be later used as soup. The Southern Thai Cuisine is heavily-influence by Malaysian food and offers more curry dishes than anywhere else in Thailand. The Malaysian-derived curries are less spicy, but locals have also invented their own versions that are some of the spiciest in the country. 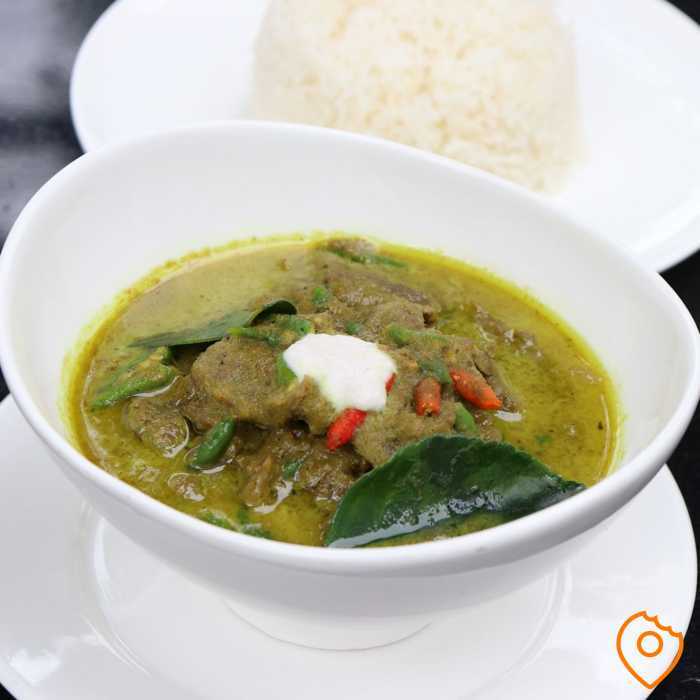 This Muslim-influenced curry is aromatic and mild, a creamy curry popular with both Thais and foreigners. Often, it’s served with either stewed beef or a chicken drumstick and has chunks of boiled potato and peanuts in it. This red curry originated in Penang, a city in Malaysia. 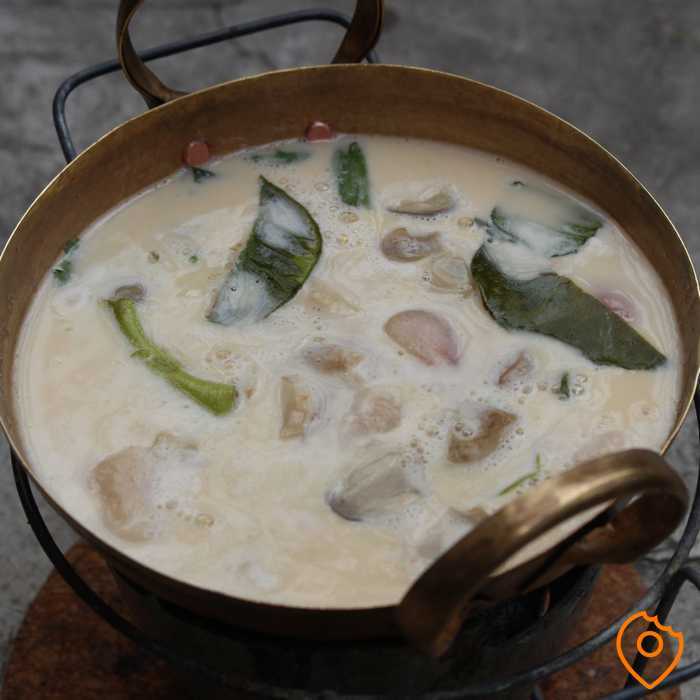 It’s incredibly creamy, mild and topped with sliced lemongrass to give it an extra-fresh kick. Compared to the Thai Green Curry, the Penang version is much thicker. Khao Mok is a Thai biryani that is usually served with either beef or a chicken drumstick and a spicy dipping sauce. Biryani has its origins in India but was introduced to Malaysia and later found its way to Thailand. Perhaps the most famous Southern Thai dish is Khua Kling, an extremely spicy dry curry. It’s served with a variety of raw veggies which temper the spiciness and provide an extra crunch. If you can handle high levels of spice, you’ll love this taste explosion. 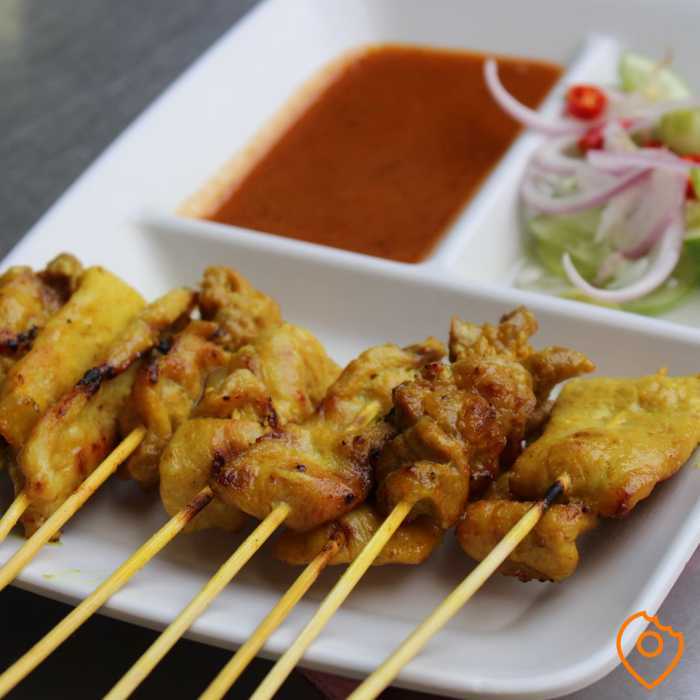 Everyone in the world knows satay, the marinated grilled skewers with that delicious peanut sauce for dipping. This amazing snack originated in Malaysia and spread to Thailand, where you can find it basically everywhere. Stay is usually served with some pickled veggies or toasted bread. Moo Hong is a popular dish that has a sweet taste, made from stewed pork belly with plenty of garlic and fresh peppercorns. 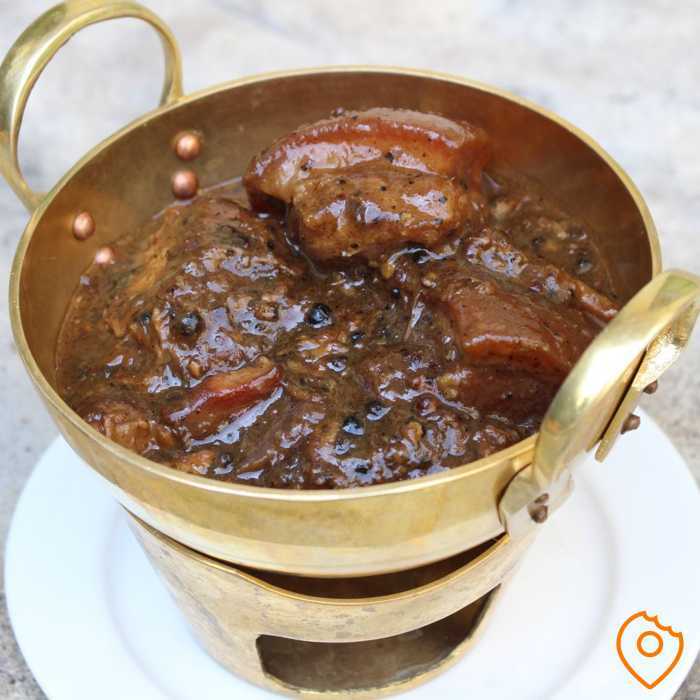 The pork is normally stewed for several hours, which makes it impressively tender, although it also contains a lot of fat. Kaeng Tai Pla is loved by locals in Southern Thailand but doesn’t suit all foreign taste palettes. This is due to the use of fermented fish entrails and a large dose of chilies. 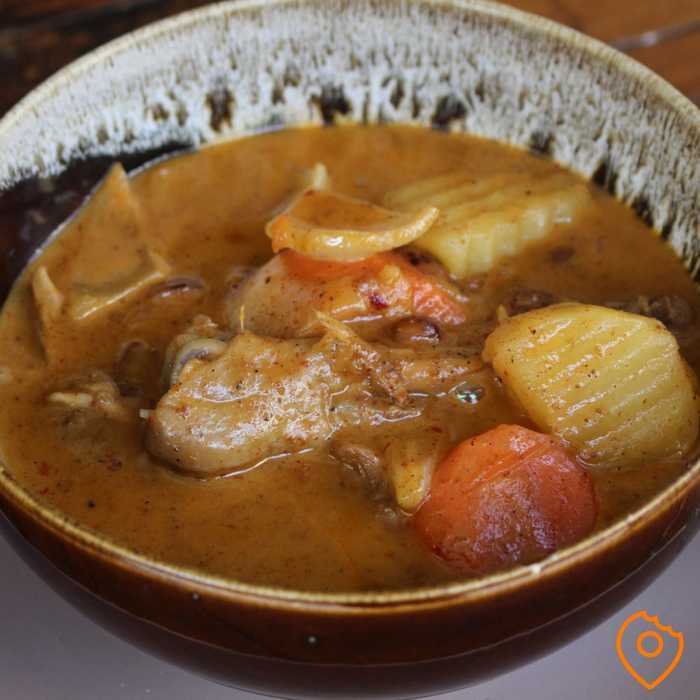 If you’re in an adventurous mood and you want to try something extraordinary, Kaeng Tai Pla is a good option. This is Thailand’s’ most popular dessert: fresh, sliced mango with sweetened sticky rice covered in coconut milk. This Thai classic can be found in almost every restaurant. In case you wondered where to get the best version of this delicious treat in Bangkok, check out our article about Mango Sticky Rice in Bangkok. 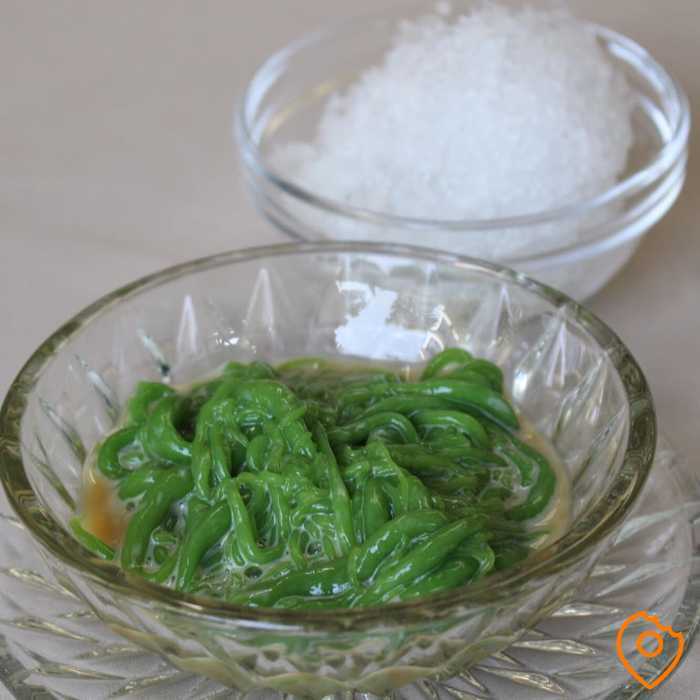 Green jelly strings floating in coconut milk? 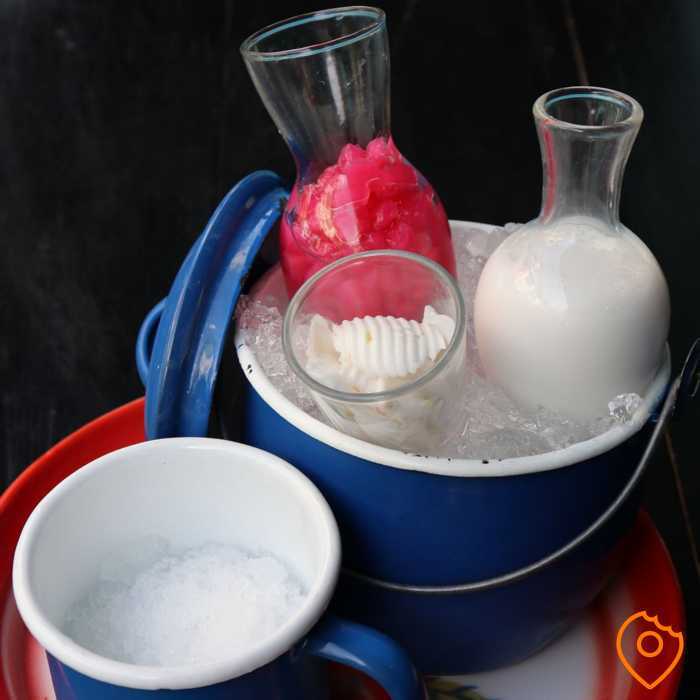 This Thai dessert may not look appealing, but the secret lies within the deliciously sweetened coconut milk mixed with crushed ice. During hot days or after a spicy meal, this refreshing dessert is your best friend. Similar to Lod Chong, Tup Tim Grob is a dessert that uses sweetened coconut milk and crushed ice. The big difference is that it’s not served with green jelly strings, but fruit such as water chestnuts. The Tup Tim Grob version also boasts sweetened jelly pieces. 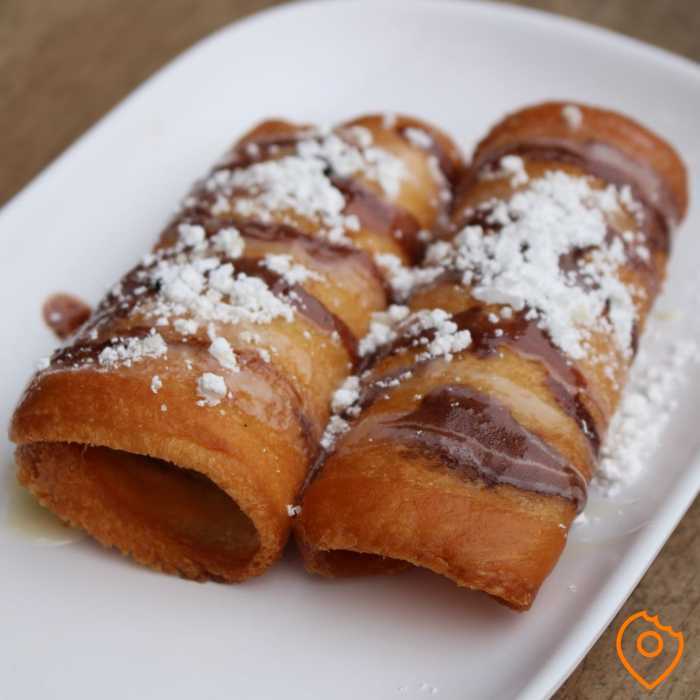 Pang Kuay Tod is a deep-fried banana with a crispy crust, covered in powdered sugar and chocolate sauce. Did we mention that Thai people know how to make delicious desserts? As you can see, Thai Cuisine has so much more to offer than just Pad Thai and fried rice. 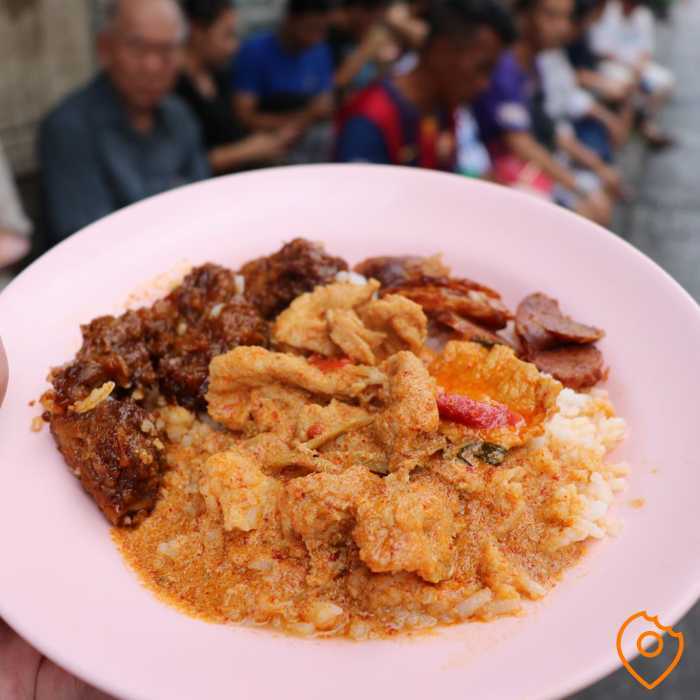 So, do yourself a favour next time you visit the beautiful country of Thailand and start to eat like a local with TopTravelFoods. 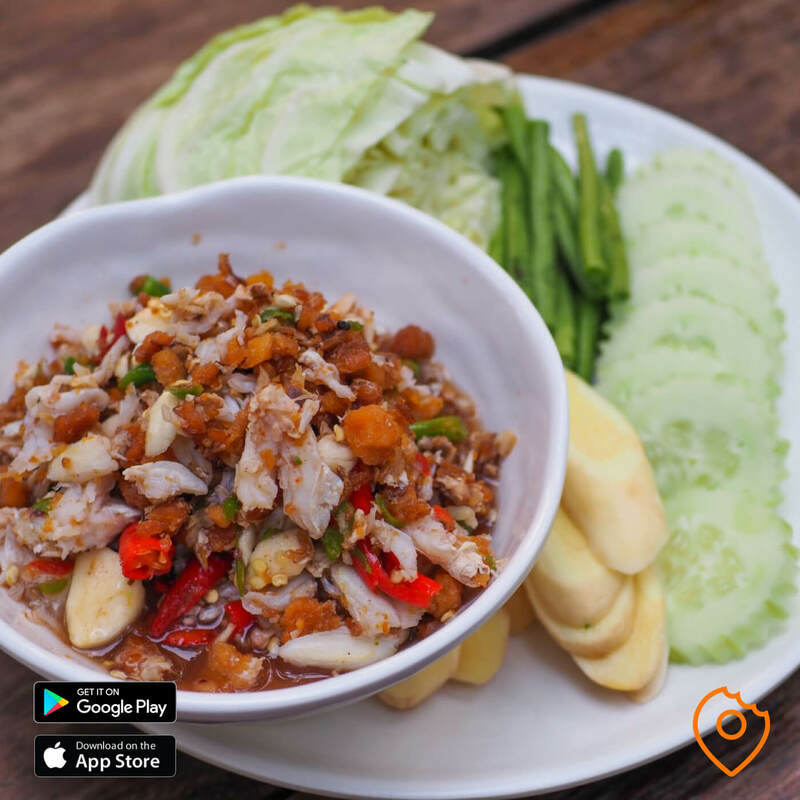 Download the app here (iOS: TopTravelFoods app iOS, Android: TopTravelFoods app Android) and find the best food that Thailand has to offer!